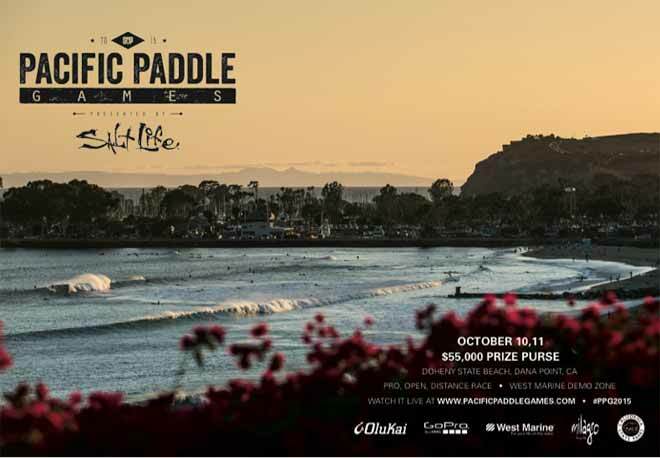 The significant prize purse is thanks to sponsor support including presenting sponsor Salt Life and supporting sponsors OluKai, West Marine, GoPro, California State Parks and SUP magazine. Sponsors have also ponied up some cool incentives for the first 250 registrants including a Salt Life bag, OluKai sandals and SUP magazine subscriptions. Registration facetime for android will be capped, so please enter ASAP! 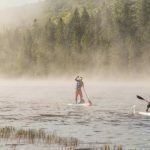 The Pacific Paddle Games will draw racers from around the globe for an exciting weekend of innovative surf race formats with something for everyone including Pro, Open and Junior divisions and distance races. 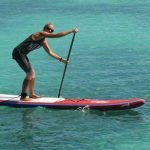 The West Marine Demo Zone, onsite at the Pacific Paddle Games will feature the largest SUP demo area in the country, offering opportunities to trial SUP boards and gear, learn tips and tricks from the pros and meet your favorite athletes in a fun and festive atmosphere for the whole family. The 2015 Pacific Paddle Games wouldn’t be possible without the generous support of our sponsors and partners. 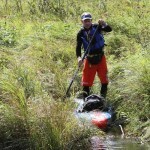 Big thanks to Salt Life, OluKai, GoPro, West Marine, Milagro Tequila and California State Parks.